Signature Iron Doors has a staff of iron designers, technicians, and licensed welders who craft every piece of iron by hand. We have been recognized as the valley’s leading ornamental iron work company and have customers throughout the nation. 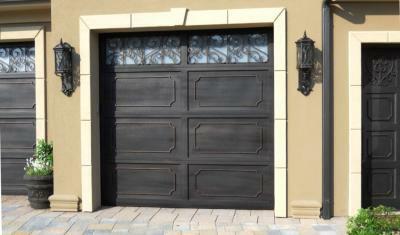 These Milan style iron garage doors were built for a family in Gilbert. After viewing our website and visiting our showroom and seeing all our design options, they chose our Milan style. Our welders created doors perfect for their home and installed it with ease. Come visit our showroom and find out how you can obtain a Signature wrought iron garage door for your home.